Show in Detroit. The Monogram Series vehicles will be available in dealerships starting in February. 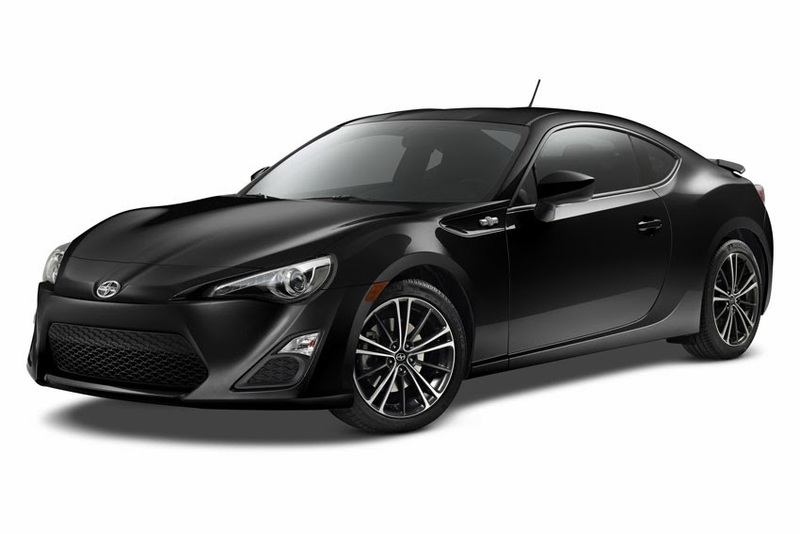 "Through this limited edition Monogram Series, Scion brought together extra comforts and conveniences in the FR-S and tC without sacrificing value," said Scion Vice-President Doug Murtha. "By incorporating these features as standard for a limited time, we provide a great price to go head-to-head with the competition and encourage more drivers to get excited about experiencing a Scion." High-end features like Alcantara inserts in the FR-S and navigation technology in both the FR-S and tC set the Monogram Series apart. Vehicles will be available in all standard body colors and both transmission options. Just 2,000 of these limited FR-S models and 2,500 tC models will be available this year. The MSRP for the six-speed manual and six-speed sequential automatic transmissions are US$ 27,400 and US$ 28,500 respectively, representing a value package of over US$ 1,900. There is an additional US$ 395 fee for the premium exterior color whiteout. Pricing: The MSRP for the six-speed manual and six-speed sequential automatic transmissions are US$ 21,400 and US$ 22,400 respectively, representing a value package of over US$ 1,500. All Scion models are covered by a three-year/36,000-mile limited warranty and a five-year/60,000-mile powertrain warranty. The Monogram Series vehicles also come standard with Scion Service Boost, a complimentary plan covering normal factory-scheduled maintenance for two years or 25,000 miles, whichever comes first, and two years of 24-hour roadside assistance. Scion MSRPs do not include a US$ 755 delivery, processing and handling (DPH) for all Scion models. The DPH fee for vehicles distributed by Southeast Toyota (SET) and Gulf States Toyota (GST) may vary. The complimentary Scion Service Boost includes normal factory-recommended maintenance services up to two years or 25,000 miles, whichever comes first, and 24-hour roadside assistance for up to two years from the date of purchase.